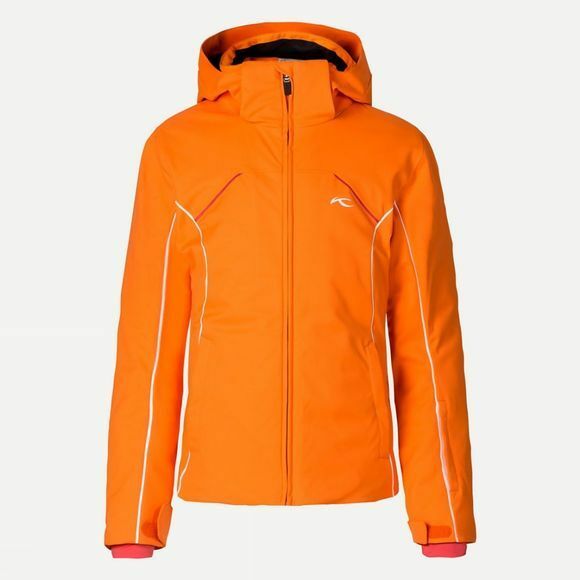 Permanently water-repellent, windproof and highly breathable - the girls' version of the KJUS Formula Jacket comes with the same performance enhancing features as its big sister. Geared toward freedom of movement, incorporating 2-way stretch all the way through the ergonomic construction, she will have complete flexibility and luxurious comfort from piste to powder. Providing the very best in weather protection combined with the ideal distribution of lightweight, high performance insulation, their smiles will stay on their faces whilst wearing the Formula Jacket from KJUS. Fast® Thermo Core: Keeps the body warm when temperatures decrease and prevents chills after intensive exercise. This exclusive KJUS innovation belongs to the new generation of adaptive fabrics that ensure a perfectly balanced body climate at all times.